Businesses are increasing capital spending, but they are directing that money at developing new systems, such as mobile platforms, and upgrading existing ones, according to new data from Computer Economics. "Very few" organizations are placing a priority on PC upgrades, said John Longwell, vice president of research at Computer Economics, which collected data from more than 200 companies. The reason PCs are down on priority lists is because "that's not where the innovation is taking place," he said. Computer Economics, in its annual IT Spending and Staffing Benchmarks study, reported that median IT capital spending at businesses and organizations is up 4% this year, compared with 2% last year. The research firm's finding on PC spending may help illuminate the broader trend in PC sales, which declined 14% year-over-year, a decline that IDC called "brutal." 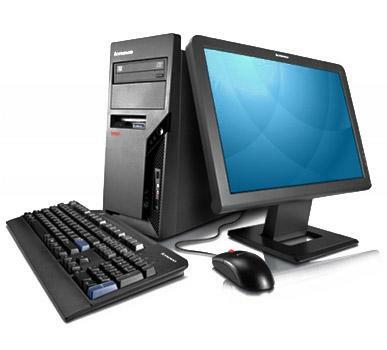 Corporate PC refresh rates vary organization to organization, and estimates by analysts cover a broad range. A major factor in determining upgrades are three-year lease or warranty agreements on systems, but the refresh cycle extends beyond it. Gartner estimates that for large businesses, the refresh rate is three to four years. For desktop systems, it may be as long as five years. Mika Kitagawa, a Gartner analyst, said the refresh rate is extending, in part, because the technology is getting more reliable and the failure rates are declining. David Daoud, an IDC analyst, said the business and consumer refresh rate has been 3.5 to four years, an increase in the replacement time because Windows 7 has been a "good enough" system. Among businesses, the upgrade cycle peaked at about four years but has been falling to three to 3.5 years as users migrate to Windows 7, he said. Vendors, Hewlett-Packard in particular, are expecting strong PC sales next year because of Microsoft's plans to end support for Windows XP. IT operational budgets, which make up about 75% of an IT department's budget, increased 2.3% this year versus 2.2% in the prior year, Computer Economics reported. IT hiring was restrained. The research firm said 43% of all organizations are increasing their headcount. Last year, it was about 40%, and in 2011, it was 33%. "I think we are past the point where organizations have just slammed on the brakes and instituted hiring freezes," Longwell said. "We are seeing modest hiring, low turnover, and an end to significant layoffs." But Longwell characterized the hiring as "selective" and "restrained." "IT organizations are also striving to become more cost-efficient, and that means doing more with fewer people. As companies start investing in new technology, that is where you will see job growth," he said. This article, IT capital spending rises, but not for PCs, was originally published at Computerworld.com.